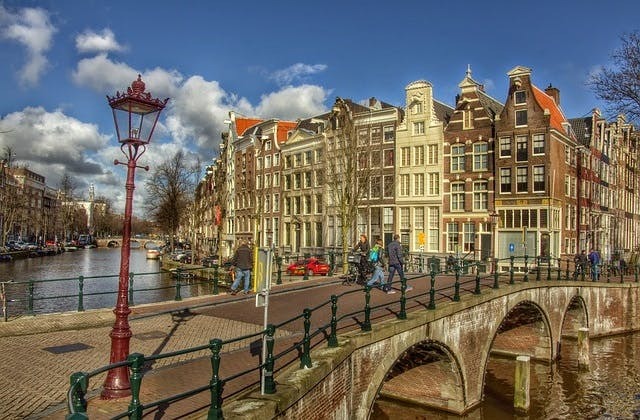 Cheap Flights to Amsterdam, Netherlands. Return Flights. The cheapest airfare to Amsterdam is $888 departing from Adelaide on China Southern. The UTC/GMT value for Amsterdam is 3600. Laarbruch in Germany is the nearest overseas airport to Amsterdam.